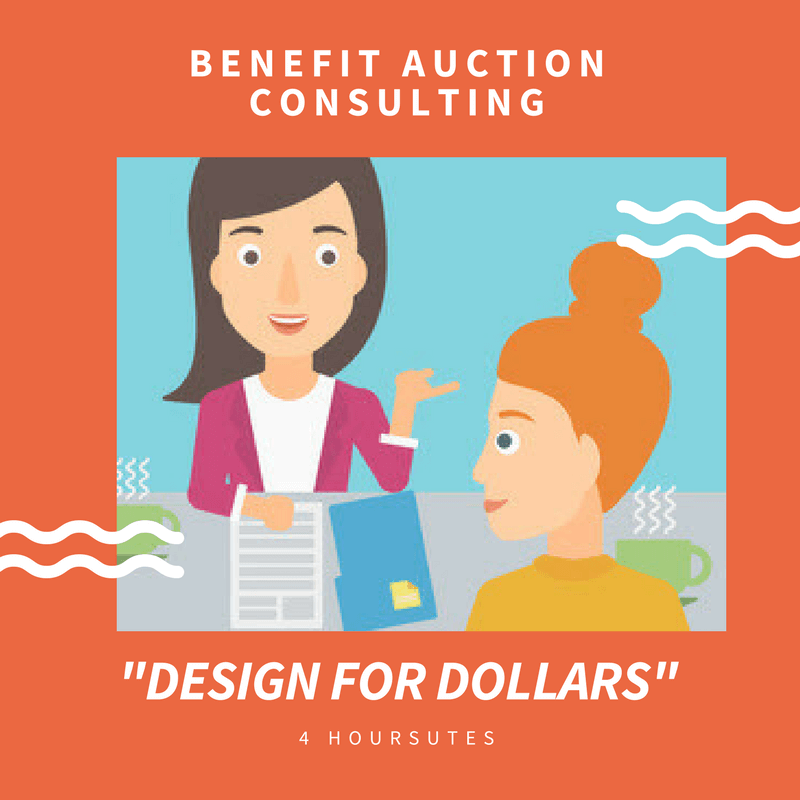 Consulting makes planning your auction fast and easy. 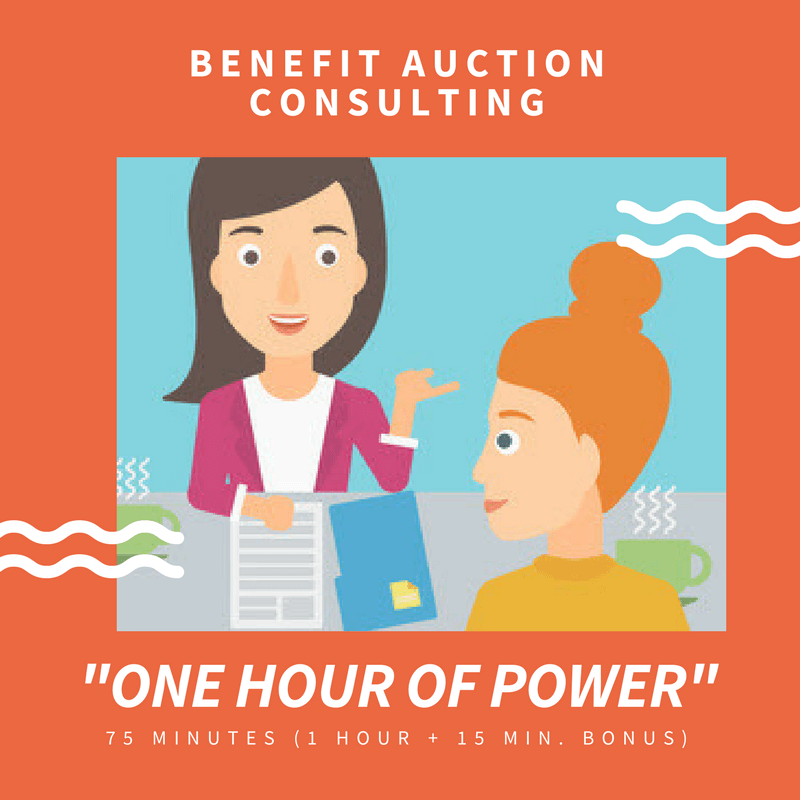 If you feel like your auction could be so much better if you just had an expert to gently guide you, you’re a great candidate for consulting. Typical clients have some auction planning experience, but they’ve reached a point where they need someone to cut to the chase and give them solid advice on what to do next. 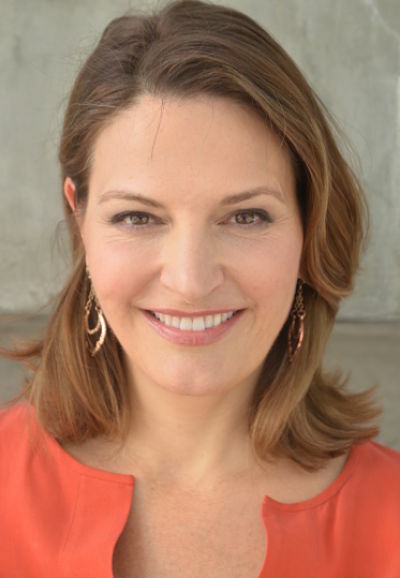 After asking some pointed questions, I’ll share what will work best for your fundraiser. Consulting is all about saving you time. When you’re working each night into the wee hours, neglecting family to make your auction a success, it’s worth it to do it right. Your auction happens once a year — a missed opportunity means waiting another 12 months before giving it another shot. Let’s run your auction right, right now. Three packages are offered to meet your budget and needs: 75 minutes, 120 minutes, or 4 hours.